The values of Freemasonry are based on integrity, kindness, honesty and fairness. Freemasons practise charity and care, not only for their own, but also for the community as a whole – both by charitable giving, and by voluntary efforts and work, both as a group and as individuals. From its earliest days, Freemasonry has been concerned with the care of orphans, widows, the sick and the aged. This work continues today. 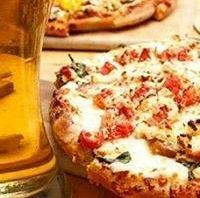 In addition, large sums are given to national and local charities. 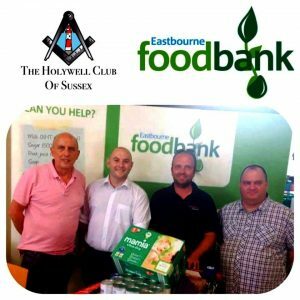 Masonic charity is exercised at every level: individual local Lodges make gifts and give aid to our community and the Province of Sussex also gives large sums of money to causes in our county. Nationally, efforts are channelled through the Masonic Charitable Foundation which supports individuals, national and international causes and is the second largest UK contributor to non-masonic charities. Although the Holywell Club does not actively fundraise, the nature of our activities often creates a surplus which we divide on a strictly 50-50 basis between masonic charities and locally based charities. Funds for charities are raised from our social events, sale of Holywell Pins and from actively supporting masonic and non-masonic fund raising events organised by others. 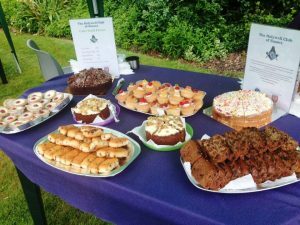 Over the past few years we have support the Eastbourne Foodbank from the proceeds from our pins and BBQ and also provided cake stalls and BBQs for the annual Barford Court Fete for which our own Nick Turner and Chris Field sit on the organising committee. Barford Court is a Care Home in Hove run by the Royal Masonic Benevolent Institution.